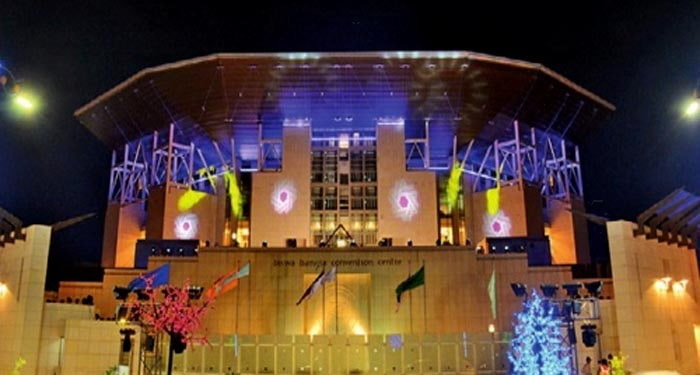 Biswa Bangla Convention Centre in a file photo. 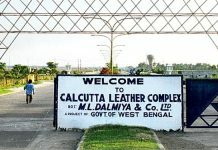 Kolkata: Ministers of the BJP-led Union government will give the Bengal Global Business Summit (BGBS) a miss for the third year in a row. BGBS, into its 5th year this time, is an annual business conclave hosted by Bengal government to woo industries and investment to the state. The two-day summit will kick off tomorrow 7 February at the Biswa Bangla International Convention Center at New Town in the city. Chief Minister Mamata Banerjee told reporters this afternoon that invitation was sent to Union commerce and industry minister Suresh Prabhu. This is even as she maintained that politics apart, “government to government work is different” and cooperation is expected from both sides. The Chief Minister informed that representatives from 36 countries and leading faces of the Indian industries will attend the summit. 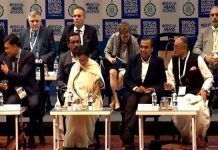 Mukesh Ambani, Gautam Adani, Sajjan Jindal have confirmed their participation, she said. 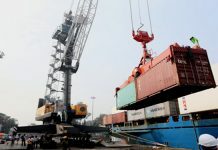 The first day of the summit, that is 7 February, will witness a world business summit wherein the participating countries will hold meetings with the state government and the domestic industries. The day 2 has been reserved for industrial sector wise deliberations. In the 3rd BGBS held in 2016, as many as four Union ministers ~ Arun Jaitley, Suresh Prabhu, Piyush Goyal and, Nitin Gadkari were present. However, Union minister’s started skipping the summit from 2017 after Mamata Banerjee spoke vociferously against demonetisation and there were instances of clashes between Trinamool and BJP workers.